Polished steel frame with X shape ends support. Top is tempered glass. Bottom mirror shelf gives you more display space. 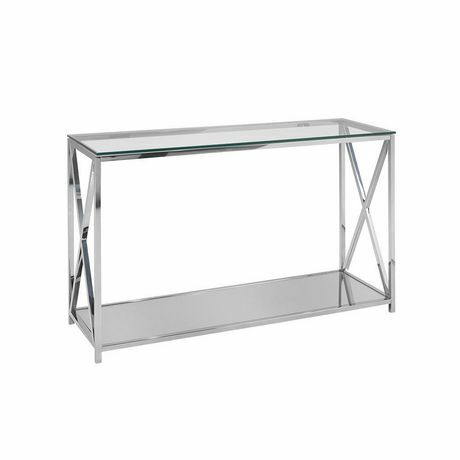 Chic console table.